A new ruling allows LCS teams to carry six players on their active rosters, with the option to utilize their substitutes during an LCS week. However, teams have generally not taken advantage of this, choosing to use the same 5 players for every game. Counter Logic Gaming has two mid laners in case they wish to sub one in, though Pobelter has played in all four games thus far. 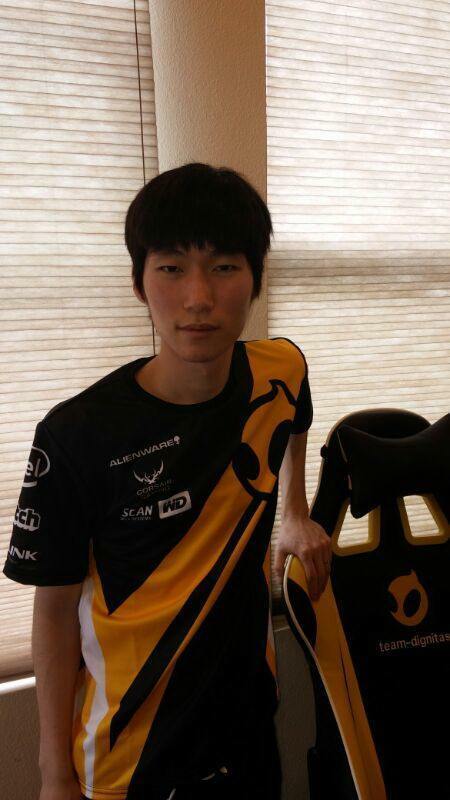 It appears that Team Dignitas may be the first squad to break this mold, as they have brought on former Winterfox jungler Dong-jin "Helios" Shin. Dignitas' current jungler is Andrew "Azingy" Zamarripa, and they have stated he will remain as part of the active roster. The addition of Helios gives DIG some flexability, as Azingy has looked very good when playing Zac, but had a weak showing on Sejuani, and there is concern about him being a one trick pony at this point. Helios' play in North America has had its ups and downs, but he was a bright spot on a Winterfox lineup that often struggled. Dignitas hopes that their two junglers will help push each other to improve, and will strengthen the lineup as a whole. We don't yet know how Dignitas plans on deploying their two junglers, whether one will get the lion's share of playing time, or if they will switch off in a more tactical manner. We'll just have to wait until the NA LCS starts back up this weekend to find out.